Considering a visit to Hastings Point? There are only 8 accommodations options within 5 kilometres of the centre of town. Wotif suggests having a gander at The Beach Cabarita and Cabarita Lake Apartments if you want to stay near all the hustle and bustle. The Hastings Point neighbourhood of Tweed Heads is a perfect choice when it comes to places to lay your pretty head. There are about 11 here. Choose from a range of places to stay, such as the Tweed Ultima and Comfort Inn Tweed Heads. Murwillumbah another Hastings Point hotel neighbourhood is 18 kilometres from the centre of Hastings Point. Should you be interested in staying in this neighbourhood, be sure to check out the Poinciana Motel and Econo Lodge Murwillumbah. For some alternatives, try the Shambhala@Byron and the Peppers Salt Resort & Spa. They are located 30 kilometres and 10 kilometres respectively from the main center. Wotif also suggests the Santai Retreat at Casuarina Beach and the Reflection on the Sea. The first is 8 kilometres away from town, while the other is 20 kilometres away. After you've hung out in Hastings Point for a while, spread your wings and explore Northern Rivers' numerous other charms. Take a look at the art galleries and craft workshops. Nature lovers should also take in the region's beaches. Common things to do in this particular part of Australia include mountain climbing. If you want to check out some nearby localities, try Kingscliff and Chinderah. Travel 12 kilometres to the north of Hastings Point and you'll find Kingscliff. That said, Chinderah is 13 kilometres to the north. 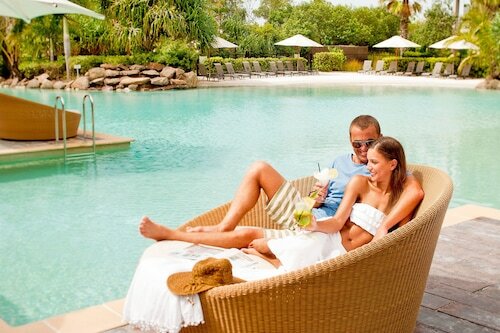 Hotels and apartments in Kingscliff include the Mantra on Salt Beach and Paradiso Resort Kingscliff. The Chinderah Motel and Sunrise Cove Holiday Apartments are some of the ones in Chinderah. Before your Hastings Point trip comes to an end, why not spend an hour or two cheering along with Northern Rivers sports obsessives at a local game? Mallawa Drive Sports Complex is situated to the northwest of Hastings Point. 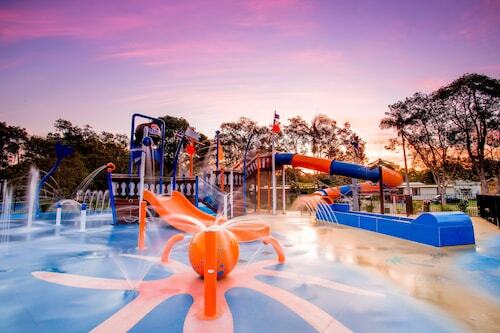 The Sanctuary Beach Resort and the Little Cove Currumbin are close to all the action. Coolangatta Airport is the most practical airport for flying in and out of Hastings Point and is 25 kilometres from the city centre. 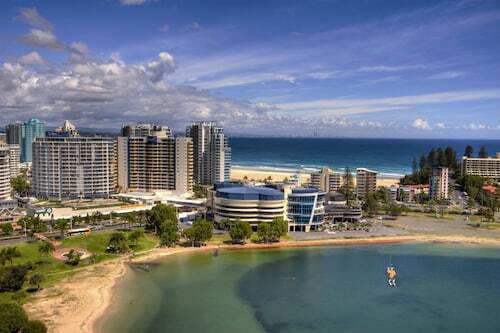 If you plan to stay nearby, try the Reflection Tower Two or the Mantra Coolangatta Beach. How Much is a Hotel Room in Hastings Point? Hotels in Hastings Point start at per night. Prices and availability subject to change. Additional terms may apply.